English . 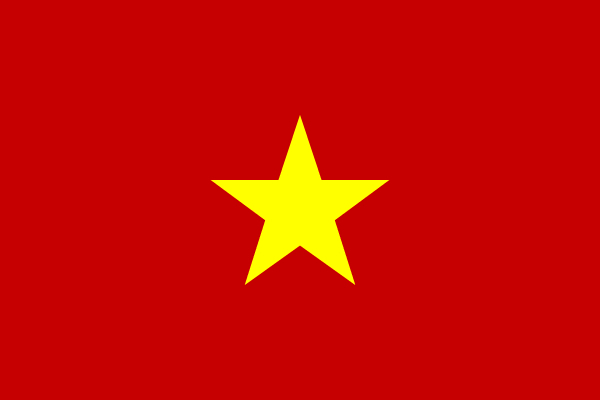 tiếng Việt . 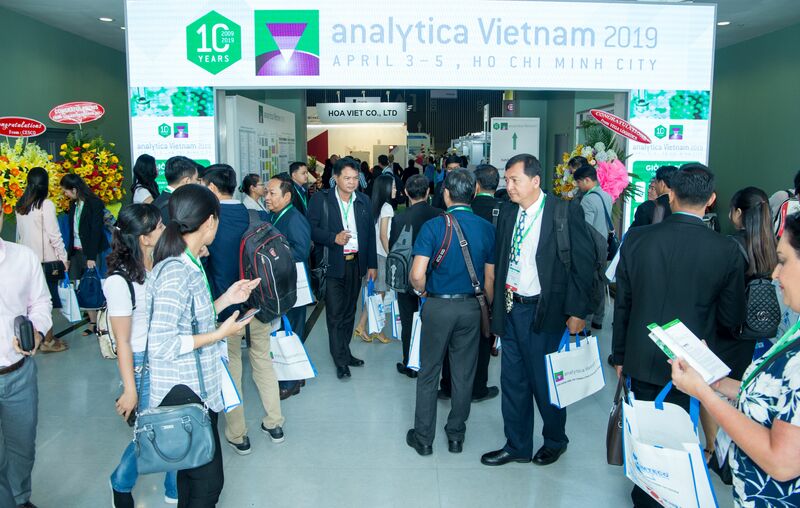 analytica Vietnam 2019, which took place in Ho Chi Minh City from April 3 to 5, provided a twofold cause for celebration: The country's most important industry platform for laboratory technology, analysis, biotechnology and diagnostics, celebrated its tenth anniversary, marking the most successful trade fair event in this series to date. 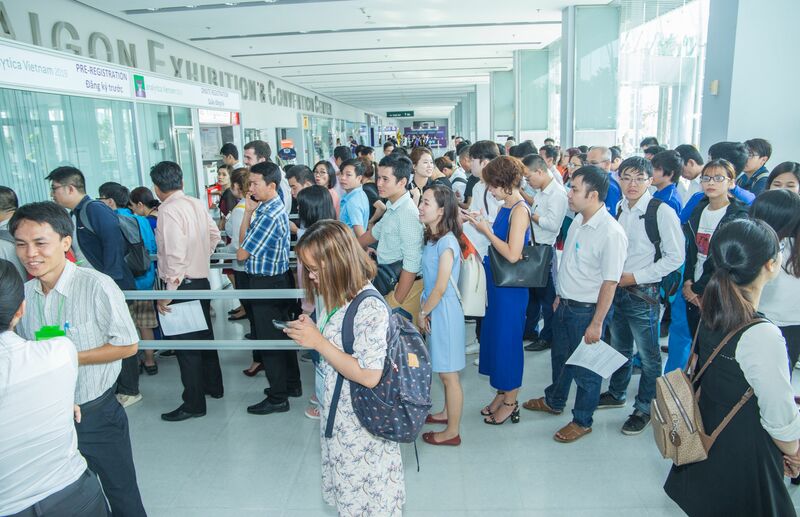 143 exhibitors from 15 countries occupied around 33 per cent more space in the Saigon Exhibition and Convention Center (SECC) than in 2017. The 4,144 trade visitors not only flocked to the trade fair stands to find out about current developments in the industry but also attended the comprehensive supporting program featuring lectures, tutorials, buyer-seller meetings and lab safety shows. The exhibitors included numerous national and international industry heavyweights. Germany, China, Taiwan and Singapore were on show with country pavilions of their own. Dr. Reinhard Pfeiffer, Messe München's deputy CEO said: "analytica Vietnam is one of the jewels in analytica's global network and we are delighted with its positive development. 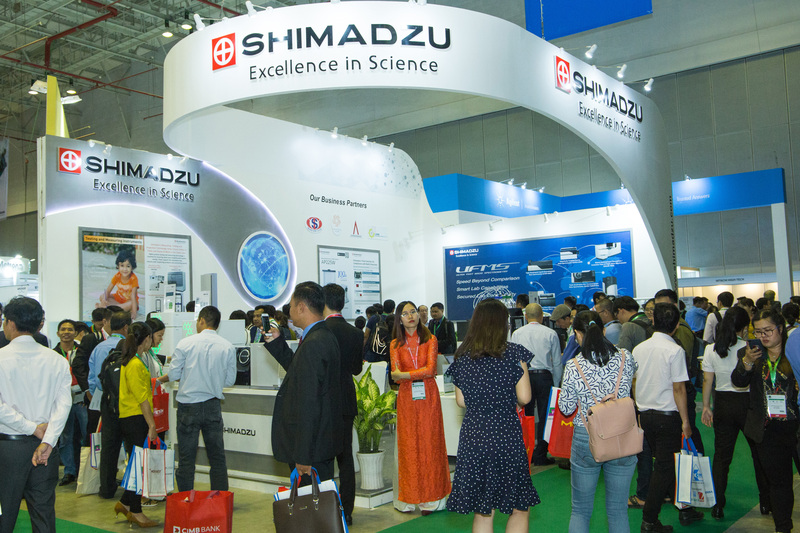 18 per cent more exhibitors, a third more space and 18 per cent more visitors compared with 2017 are an impressive reflection of the boom in the Vietnamese laboratory sector. It also has to do with the increasing need to import laboratory equipment, especially prevalent in the foodstuffs and pharmaceutical industry and in environmental analysis." 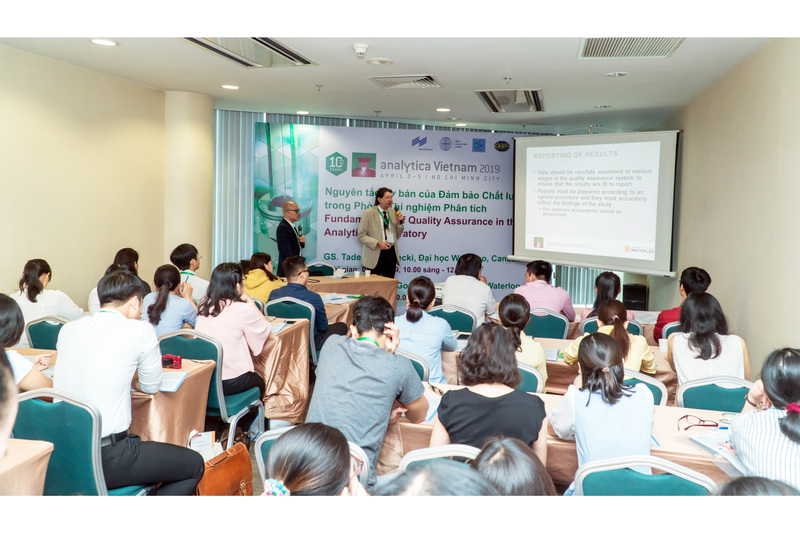 Gabriele Kraus, Executive Director of event organizer IMAG said: "We are pleased that analytica Vietnam 2019 has such positive news to report. This trajectory demonstrates just how important the Vietnamese market has become for the industry. In addition to the need for new technologies, the exchange of knowledge has also played a major role in this. Our trade fair concept addresses this need and has been extremely well received by exhibitors and visitors alike." Pham Thi Tuyet, Marketing Manager at exhibitor SISC, summed it up: "analytica Vietnam is a prestige exhibition that has a lot of influence on the market that makes half of our income. The organizer is really enthusiastic and has had good support for the exhibitors." Reto Broger, CEO of Metrohm Vietnam, is enthusiastic about his company's participation in the trade fair: "The focus on analytical instrumentation is paramount for us and this is supported by analytica Vietnam. We are very happy with the number of visitors and the interest shown in our products and look forward to attending again in 2021!" 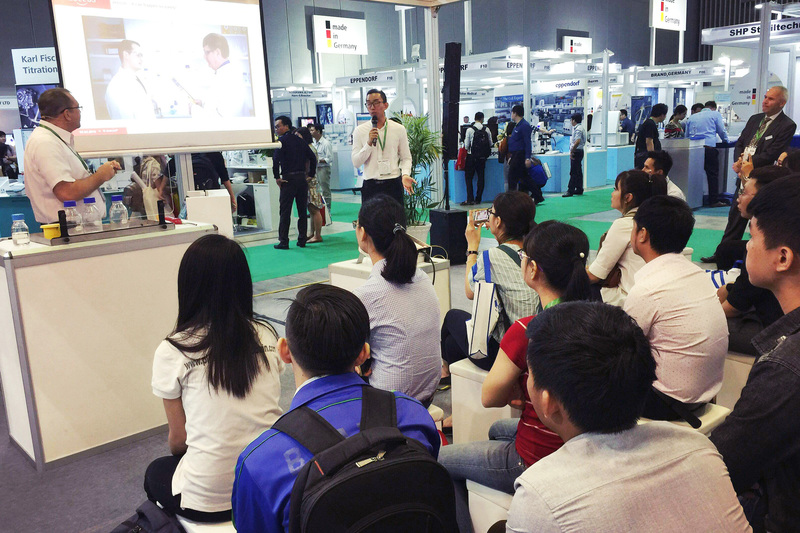 A particular emphasis of analytica Vietnam was on the comprehensive supporting program, which was very much about knowledge transfer. 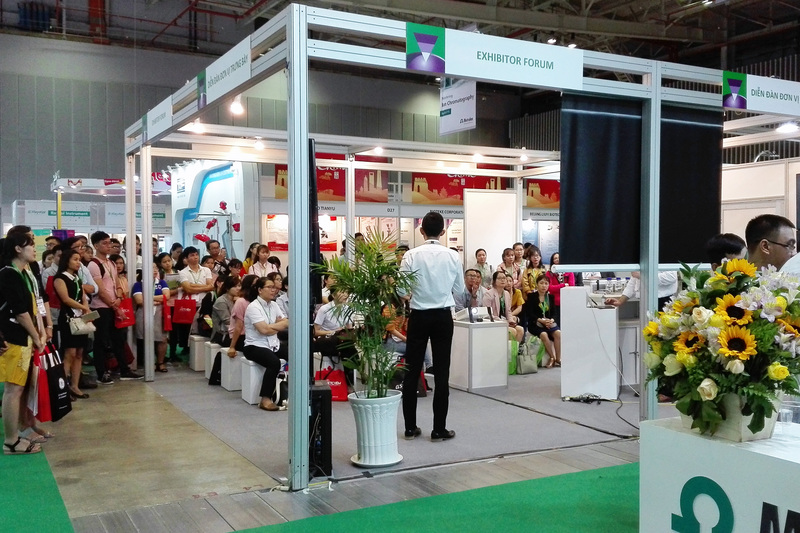 The analytica Vietnam conference was packed out on the first two days of the trade fair. International speakers discussed topical industry issues and presented findings from recent studies. 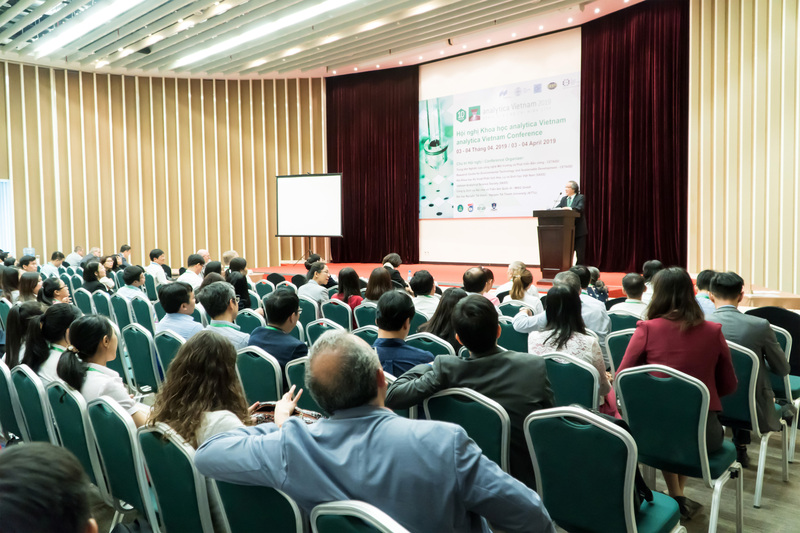 For example there was considerable interest in the lectures on new chemical and biological analytical techniques for air pollution, on detecting micro-plastics in the environment and on the use of stable isotopes for inspecting the quality of tropical fruit. The daily experimental lectures on laboratory safety were particularly popular with trade fair visitors. Planned explosions and pyrotechnic effects graphically illustrated the attendant risks of laboratory work, and how to avoid them. In addition to trade fair stand discussions a total of 268 buyer-seller meetings helped exhibitors and visitors to establish the correct business contacts. The 20-minute meetings, prearranged by the event organizer, brought together potential business partners from appropriate industry sectors. The success story continues. With 4.144 visitors, 143 exhibitors and a broad supporting program this year's edition has been lifted to a whole new level. Find all exhibitors, products and up-to-date information of our last trade fair in our exhibitor directory and list. 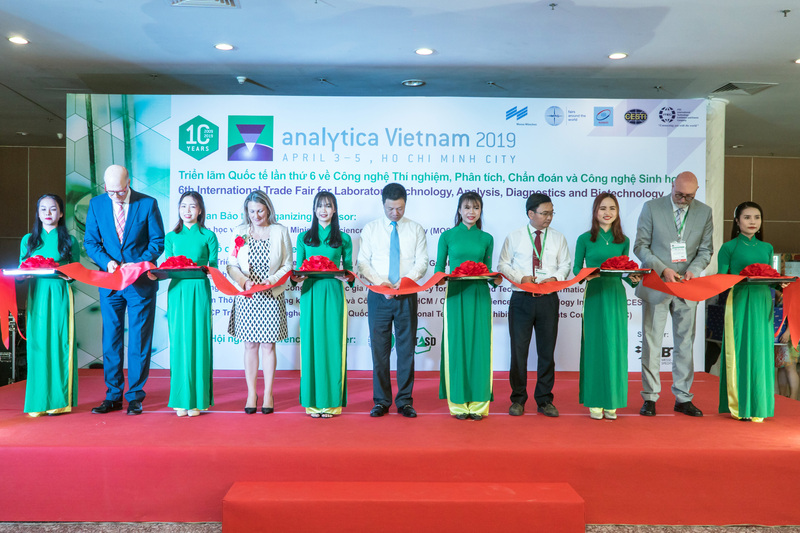 The next analytica Vietnam is taking place in Spring 2021. We look forward to welcoming you in Ho Chi Minh City. Please do not forget to plan your stay properly. Present your company at Vietnam's leading marketplace. You will meet the industry's global key players and visitors with budgets to invest. The analytica Vietnam team would be pleased to support you with professional advice. Please feel free to contact us. A broad overview of the laboratory technology, analysis, quality control, biotechnology and the life sciences industry and a new drive for your business. 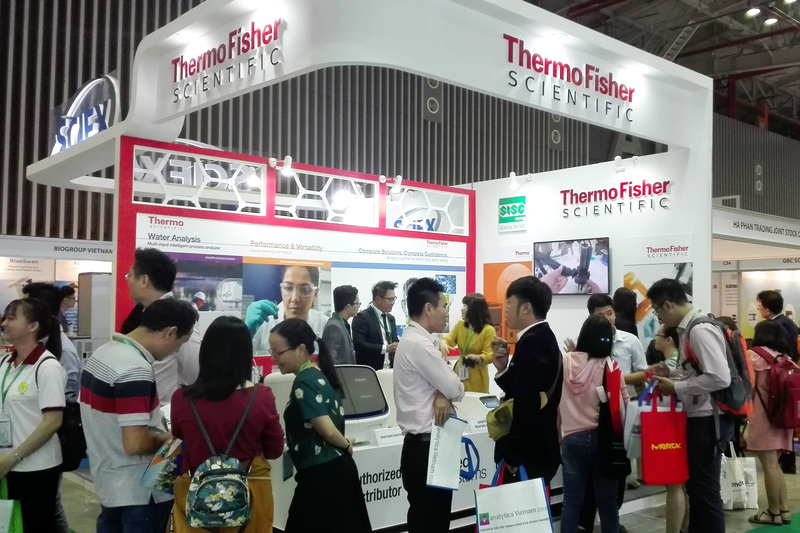 Record-breaking exhibitor and visitor numbers, close attention to hot topic of food safety and our "Lab Safety Show" - this was analytica Vietnam 2019! Find all exhibitors, products and up-to-date information in our exhibitor directory. Download and use photographs, impressions and logos from the fair in print-ready resolution. We offer a wide variety of material for your work. Find out the latest news and background information about analytica Vietnam here. We would be pleased to assist trade journalists, daily news and business correspondents from the press, TV, radio and online media.